AMCP Daily Dose is the official briefing of the Academy of Managed Care Pharmacy and is a highly valued member benefit. It is delivered Monday through Friday by 8 a.m. EST. The Academy of Managed Care Pharmacy is the leading society for pharmacists working in managed care settings. More than 40% of AMCP members serve in a Director or Vice President of pharmacy capacity. 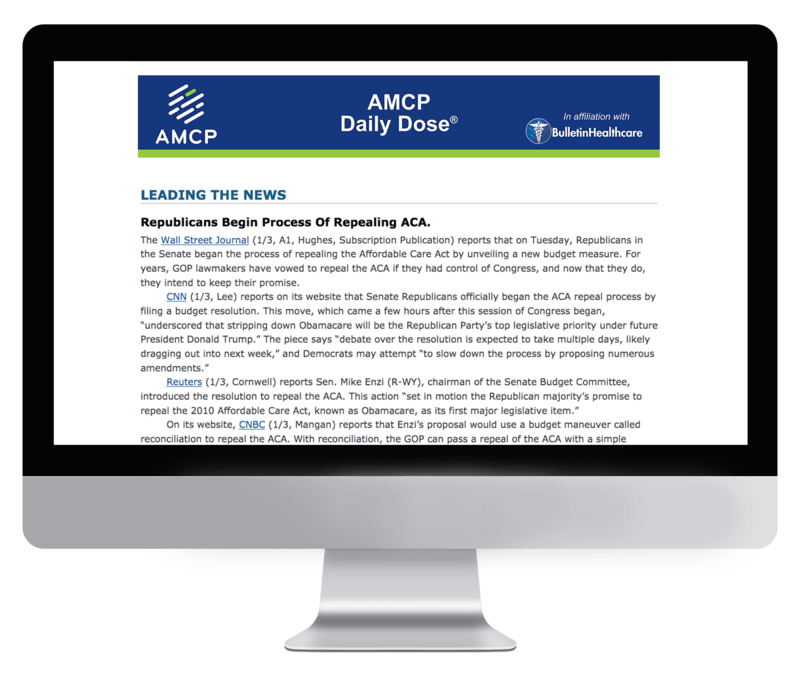 Subscription to AMCP Daily Dose is exclusively limited to AMCP members. If you are a member of AMCP and would like to receive this briefing, please reach out to the association directly.